Superior quality hemp oil has beneficial effects on the whole body. Natural active ingredients help to optimize muscle relaxation and regeneration. Hemp oil has a high content of Omega 3-6 essential unsaturated fatty acids, vitamins A, B1, B2, B6, C, E, phytosterols, phytate and many important minerals. These natural substances have a long history of relieving pain, cramps and blockages. These natural substances are appropriate for regenerative and rehabilitative massages after operations, fractures, sprains, radiation therapy, sports and physical exertion. They are used in cosmetics for the prevention of skin aging, wrinkles formation, dry skin, etc. Hemp seed oil has a broad usage in the hair care as well. 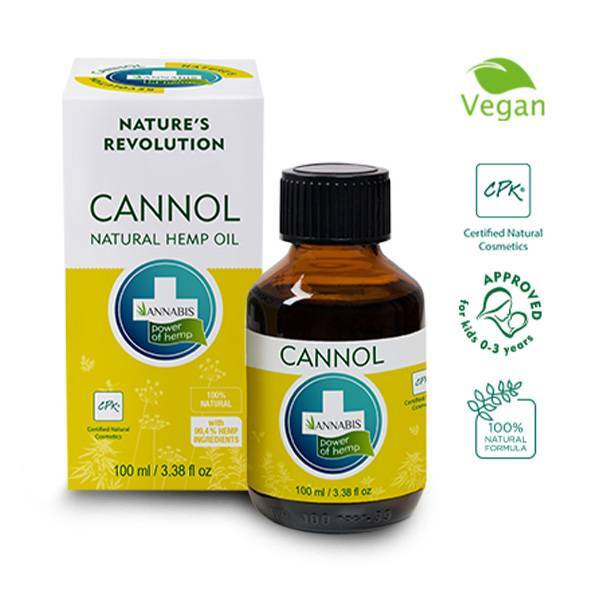 For perfect relaxation, whether in the form of bath or massage, take advantage of our hemp oil Cannol. 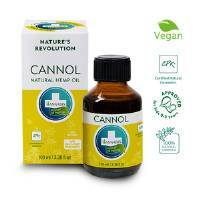 Cannol will help you to perfectly relax and regenerate. If you are looking for a pure natural product for a massage at home or with your massage therapist, Cannol is the ideal choice. A few drops in the bath will wake up your senses and evoke the feeling of relaxation. A few drops into the hair will help their regeneration, ensure a healthy scalp and eliminate the hair brittleness and loss. It does not contain chemical stabilizers. Instructions for use: Use this oil for full body massage and hair care as needed. For skin care suffice few drops of the oil on a cotton ball to cleanse the face in the evening. To use in bath, put few drops of the oil in the water. Ingredients (INCI): Cannabis Sativa Seed Oil, Cannabis Sativa Seed Extract, Citrus Clementina Oil, Citrus Grandis Oil, Citrus Reticulata Oil.